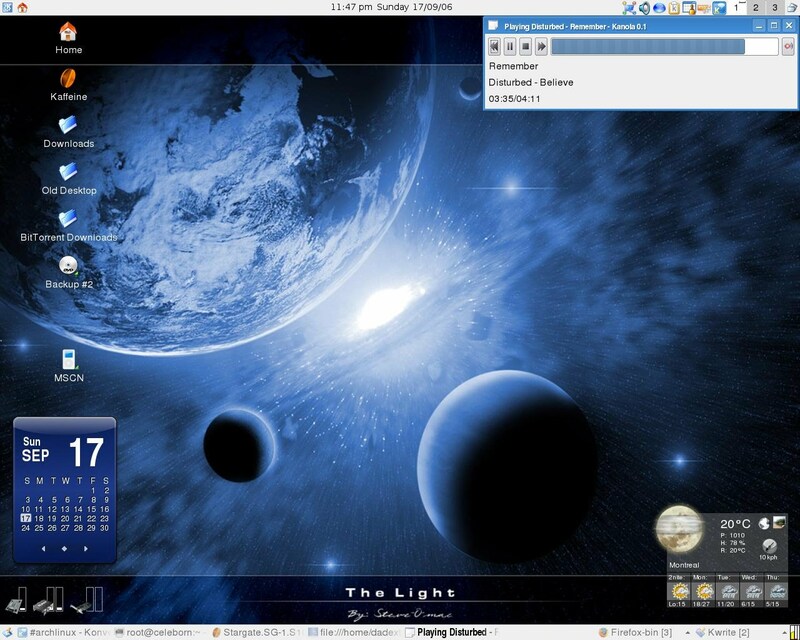 Kanola is a basic KDE MPD client designed in Python. client that can compete with the numerous and very eye-pleasing GTK clients. Kanola version 0.1 has been released!!! Download here!!!! Kanola is visible in this "normal and boring" desktop screenshot. You can also checkout the source at http://kanola.googlecode.com/svn/trunk/ .